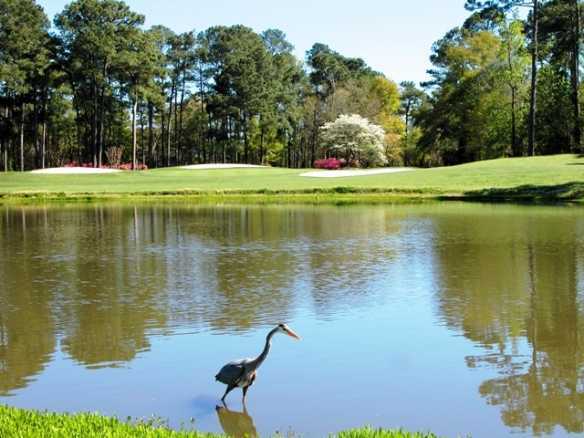 North Myrtle Beach’s Eagle Nest Golf Club’s 18-hole course begins as a championship golf course that eases players into the game and ends with Myrtle Beach’s three toughest finishing holes. 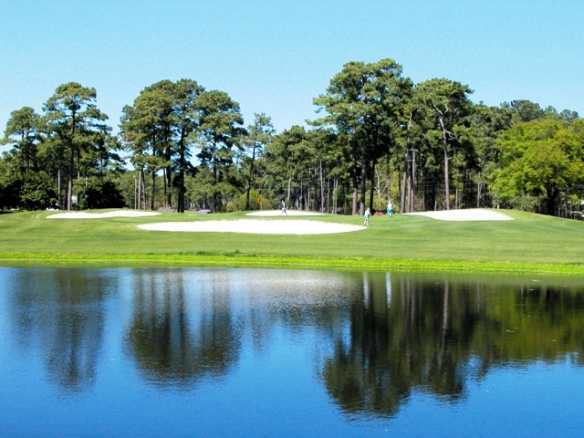 Water, wastelands, sand traps and a pine forest are natural hazards and obstacles that make these 18 holes memorable. From a 150-yard par three to a 576-yard par 5, Gene Hamm’s design is a mental challenge for all golfer levels. 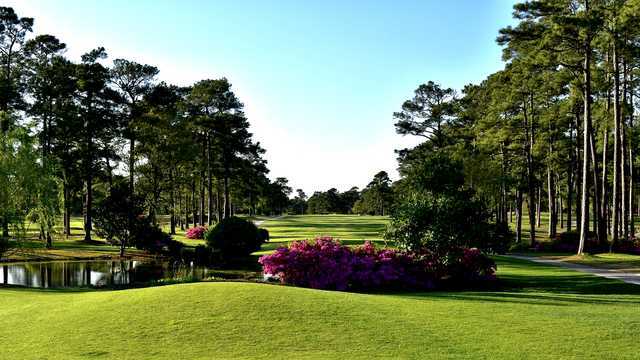 And it is a Myrtle Beach golf course that is frequented by golfers worldwide. 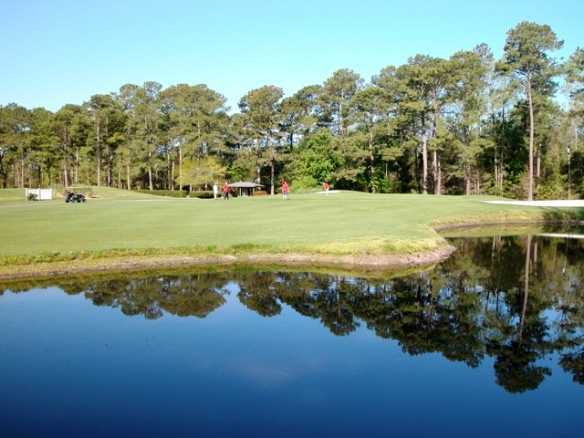 Golfing on the Bermuda fairways and greens are a pleasure and the gentle contours and generous playing areas that are incorporated into Hamm’s design are appreciated by all Myrtle Beach golfers.